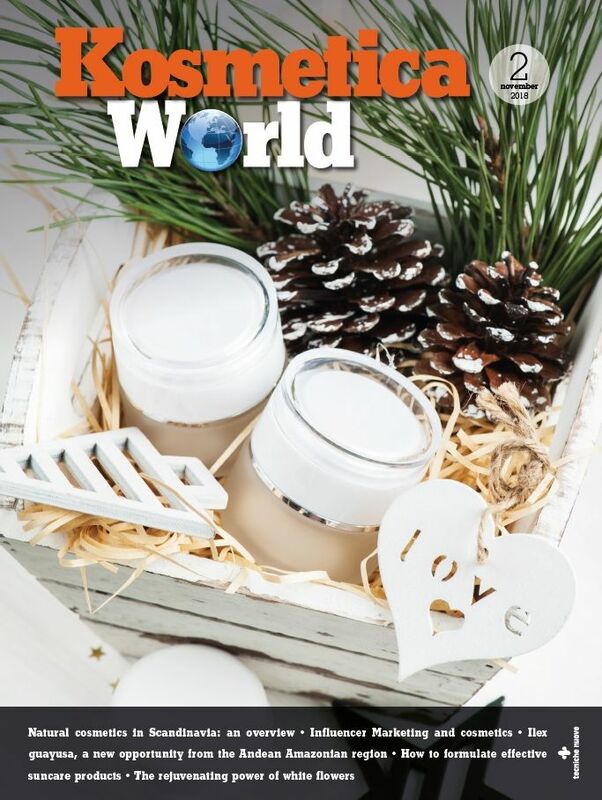 Plastics are currently the most used material by the cosmetics industry for the package of their products, since they give several advantages regarding design freedom, lightness, resistance and life. Unfortunately, the plastic materials are not sustainable, they accumulate in the environment. A possible solution to the environmental problem is to replace traditional plastics with bioplastics reinforced with nanoparticles. 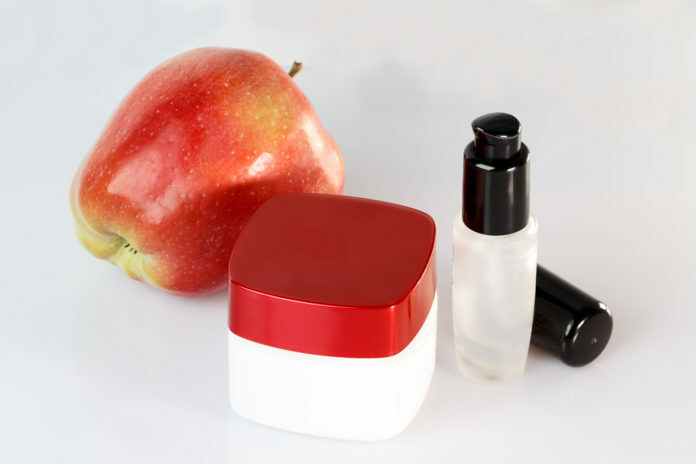 The use of biomaterials as packaging materials for cosmetic products has been growing rapidly in recent years. Consumers like to have products with sustainable packaging, instead of the classic traditional plastic packaging, non-biodegradable. A growing trend recently supported by the development of exciting new technologies that make bioplastics even more accessible to suppliers of plastic packaging and packaging manufacturers. Until a few years ago bioplastics could be seen as niche materials, promising materials, but because of the price and uncompetitive technical performance compared to traditional plastics. Over the years, researchers have tried different approaches and strategies in order to improve the performance of these plastics. Recently, to improve the performance of bioplastics has tried to mix them with other more resistant materials, so as to obtain composite materials. These materials are so called because they consist of two different materials with different technical characteristics. The composites are generally constituted by a matrix and the particles dispersed in the matrix. The matrix determines the main characteristics of the material, the particles improve these features or particles make the material new properties. The most promising results in the field of plastics have been obtained in particular with nanoparticles based on inorganic compounds, which are equipped with completely different mechanical characteristics. Bioplastics, as the rest of the traditional plastics, are carbon-based materials with well defined technological characteristics. Based nanoparticles of metal oxides, such as for example the calcium carbonate instead have the typical characteristics of resistance of the metals. In the recent years, researchers have therefore decided to combine the flexibility of plastic of the mechanical strength of the inorganic oxide to arrive to obtain a particularly versatile material suitable to form different types of packaging. Bioplastics family belong to a wide variety of materials. According to the European Bioplastics Association exist two definitions of biopolymers: polymers with biodegradability approved according to EN 13432, including in this caseboth polymers from renewable sources as well as those of fossil origin; based on renewable raw materials, including both biodegradable materials is not biodegradable materials. Bioplastics most used and studied in the packaging are synthetic biopoloymers such as polylactic acid (PLA), polyester derived from renewable resources, such as corn starch (in the United States and Canada), tapioca roots, chips or starch (mostly in Asia), or sugarcane, Polyhydroxyalkanoates (PHA) linear polyesters produced in nature by bacterial fermentation of sugar or lipids. They are produced by the bacteria to store carbon and energy. More than 150 different monomers can be combined within this family to give materials with extremely different properties. In packaging are also used and study polycaprolactone (PCL), polyglycolic acid (PGA), polyvinyl alcohol (PVA), and polybutylene succinate PBS. The use of bioplastics have huge advantage in terms of sustainability: many bioplastics are derived from agricultural resources, renewable resources. An environmentally friendly alternative to common petroleum-based plastics, which are annually produced 300 million tons by using oil or other fossil fuels and require centuries before decomposing. Also, if the plastics are burned significantly contribute to the increase of carbon dioxide (CO2) in the atmosphere, one of the most potent greenhouse gases released by human productions into the atmosphere. However, bioplastics have important technical defects Biopolymers are generally brittle, low in heat distortion temperature, and low resistance to prolonged process operations. For instance, the used of most favorable synthetic biopolymers, PLA, as food packaging material exhibits low performance (due to low heat distortion temperature, low resistance to extreme heat and humidity, and low flexibility. – obtain advanced properties with a higher barrier to gases and best mechanical and thermal properties. Current research in the field of nanocomposites and their applications are split into two paths. On one side are being studied for rigid packaging materials with mechanical strength characteristics comparable to traditional plastics, at the same time, researchers are trying to develops film with a high resistance. To do this it is not sufficient to identify the particle most suitable to give the plastic the features but also the proper technique of production, so that the nanoparticles are properly mix with the matrix of plastic material. The preparation of polymer nanocomposites is critical because of the hydrophobic nature of hydrophilic polymer compared to that of many types of nanofillers. Moreover, the form, size, surface morphology and distribution of the nanofiller in the polymer matrix determine the basic properties of the nanocomposite. The basic requirement lies in the so-called «principle of maximum diversity»: the nano filler particles must be individually dispersed in polymer matrix so that the heterogeneous nature of the material there is evidence only for samples at the nanoscale. In theory, each nanometer particle should contribute equally to the overall properties of the composite. The look preparative is at the research center in this field. The first issue in the preparation of the filler, which can be «nano» size of a (reed), two dimensions (fiber) or three dimensions (spherical nanoparticles). Each form match different properties. For example, to obtain the maximum effect of strengthening must use lamellar particles or fibers, since the efficiency of the strengthening depends on the length / thickness ratio. The nanofillers must then be made chemically similar to the polymer (compatibilized) to increase the hydrophobicity and promote adhesion and dispersion in the matrix. For researchers to choose the right type of nanoparticles and the right matrix is a rather complex process that needs numerous tests. Indentify then the machining process is even more complex. This is why developing new materials for such a complex field is not easy and requires years of research and studies. The field of nanocomposites, except for a few large-scale applications is currently in an embryonic stage of development. Although these materials are the subject of research about two decades, only now the polymer producers are taking the first steps toward serious the development of these technologies for commercial purposes. The development of these new materials is desirable for several reasons: beyond the environmental benefits, there are definite advantages from the point of view of the performance of packaging and the saving on production costs. – Natural biopolymer-based nanocomposite films for packaging applications, JW Rhim, PKW Ng – Critical reviews in food science and nutrition, 2017.